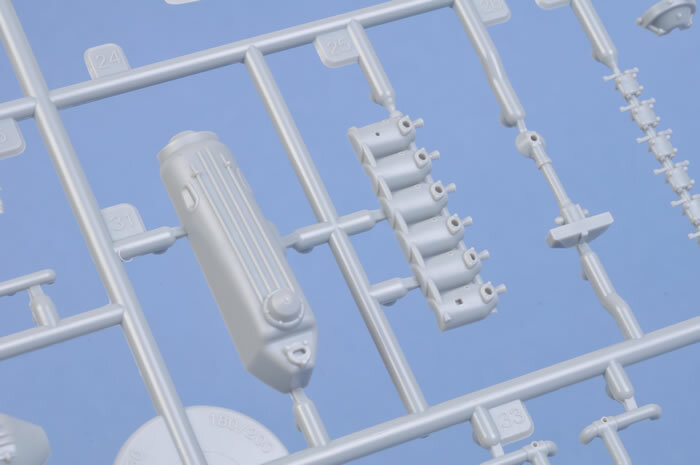 140 parts in grey injection moulded plastic; two parts in clear; photo-etched fret; markings for five colourfully marked aircraft. USD$65.00 including free international postage available online from Wingnut Wings website. 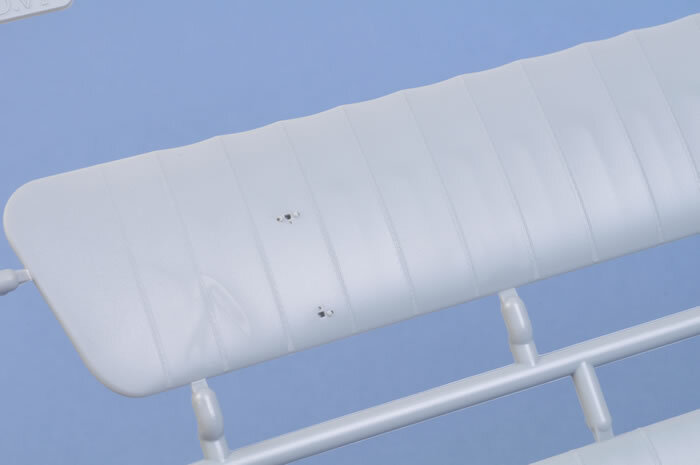 Cleverly engineered for ease of assembly; outstanding representation of timber planking, fabric, tape and general surface detail; high quality mouldings with fine sprue attachments; comprehensive decal sheet in perfect register with minimal carrier film, photo-etched seat belts; full-colour instruction booklet doubles as a one-stop reference. 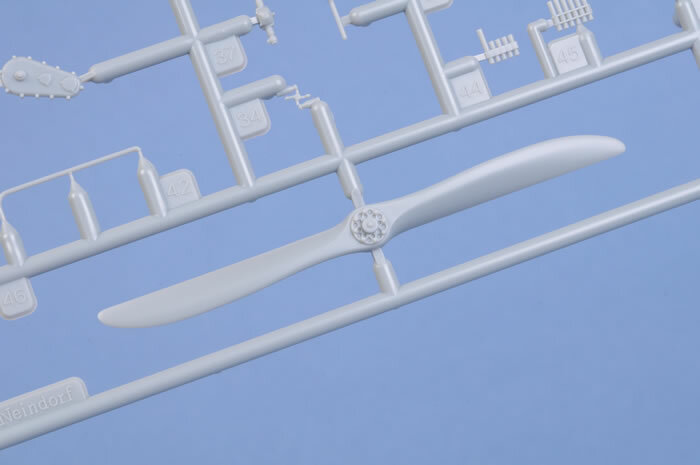 Wingnut Wings latest and largest batch of releases is just as brilliant as their last. At USD$65.00, this kit represents oustanding value too. It is always exciting to see a package on the doorstep postmarked from New Zealand because chances are that it will be a new kit from Wingnut Wings. Wingnut Wings burst onto the modelling scene in April 2009 with their four debut releases. 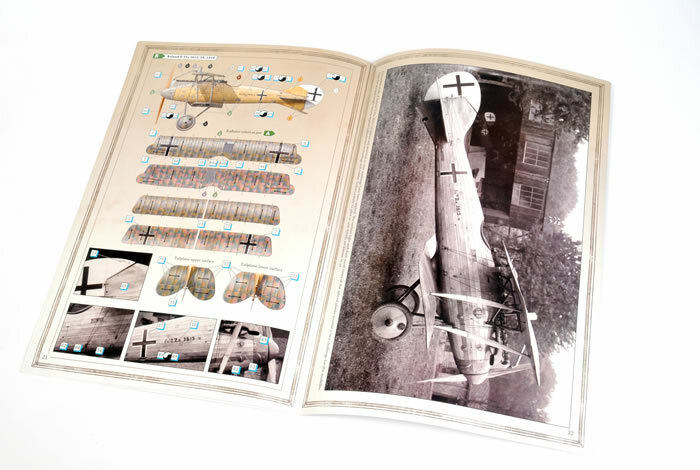 These 1/32 scale WWI aircraft kits raised the bar in terms of engineering, moulded detail, reference inclusions and luxurious packaging. The next four kits, released in early 2010, maintained this exceptional standard. 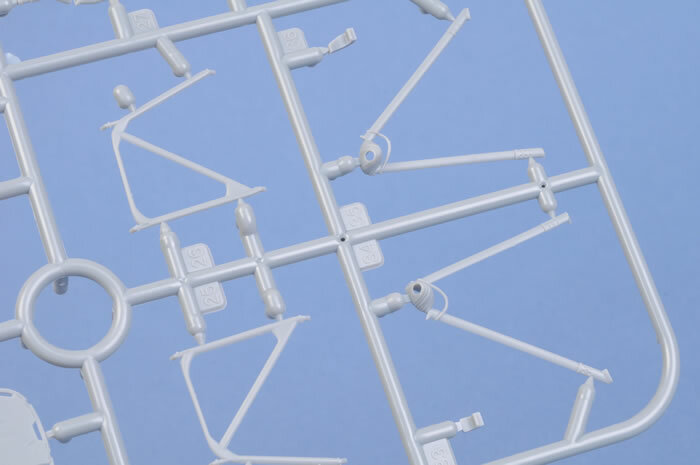 In late December 2010 and early January 2011 Wingnut Wings caused another flurry in the plastic modelling world with their biggest batch of releases yet. 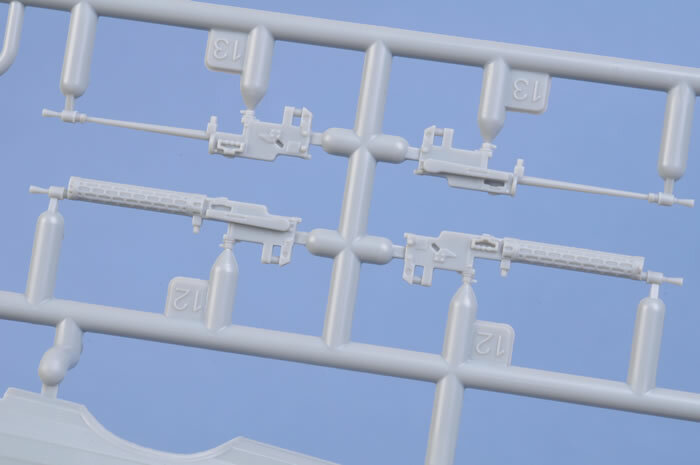 Six kits hit the market, along with four after market decal sheets. 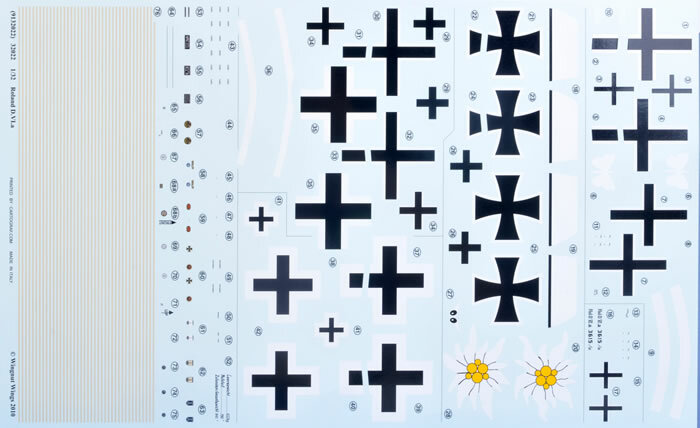 32012 - RE.8 "Harry Tate"
The four aftermarket decal sheets each offer five colourful alternative marking options. 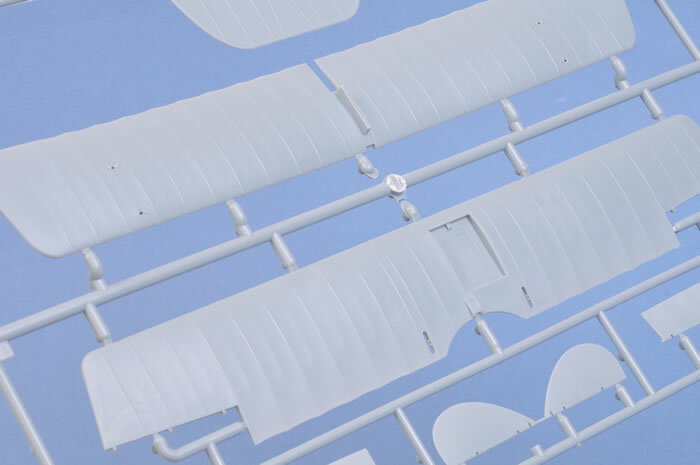 Three of the sheets are designed for the Wingnut Wings Albatros D.V while the final release covers the Albatros D.Va. 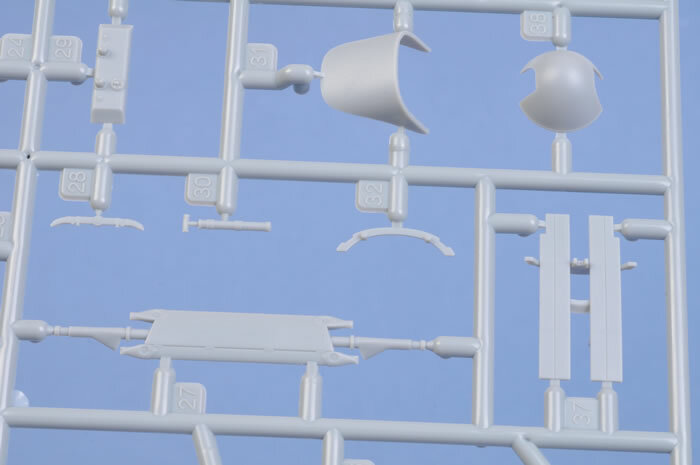 We will review the contents of these new kits and decal sheets over the coming weeks. Under examination today is the Roland D.VIa. 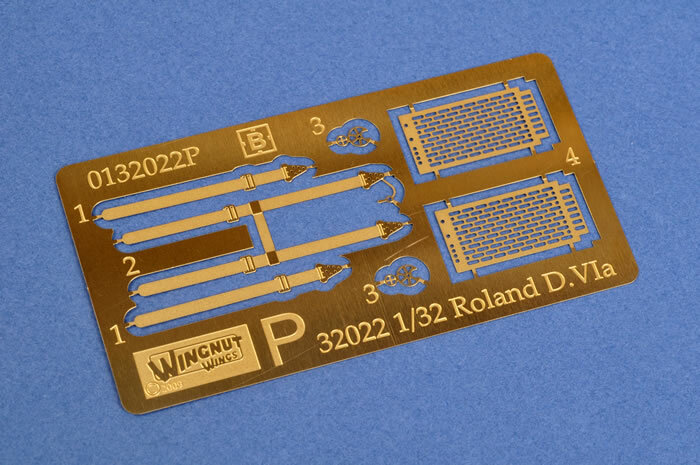 Wingnut Wings’ 1/32 scale Roland D.VIa comprises 140 parts in grey injection moulded plastic, two parts in clear, a modest photo-etched fret and markings for five colourfully marked aircraft. 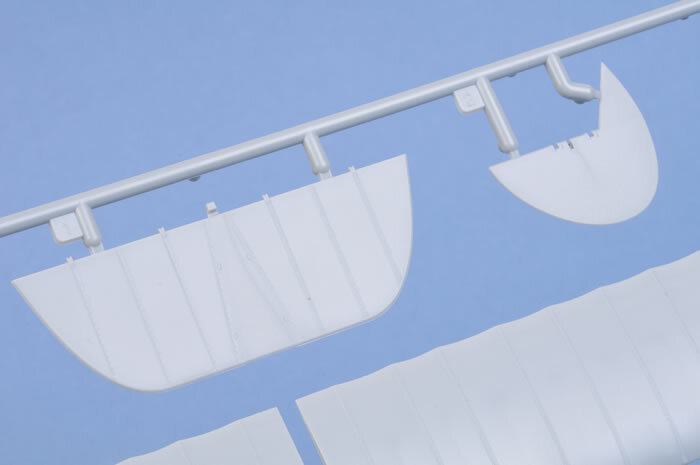 The kit features beautiful surface texture including subtly stretched fabric, fine strips and stitching, crisply recessed panel lines and raised details where appropriate. The overlapping timber planking on the fuselage is especially impressive. 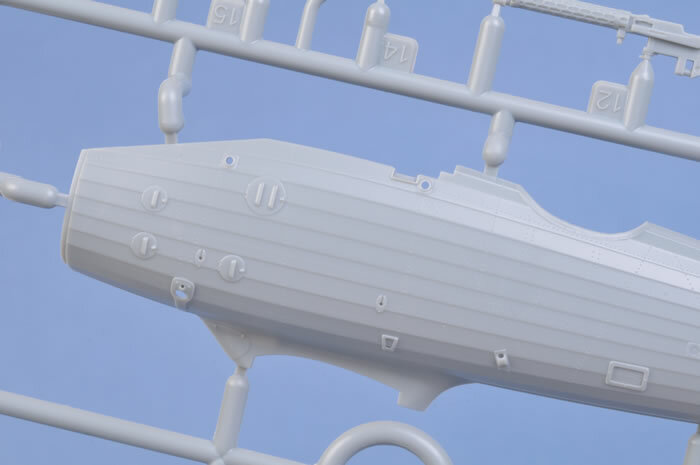 This effect is also represented on the interior of the fuselage halves. Kit engineering is conventional and designed to make construction as painless as possible while not compromising on detail. 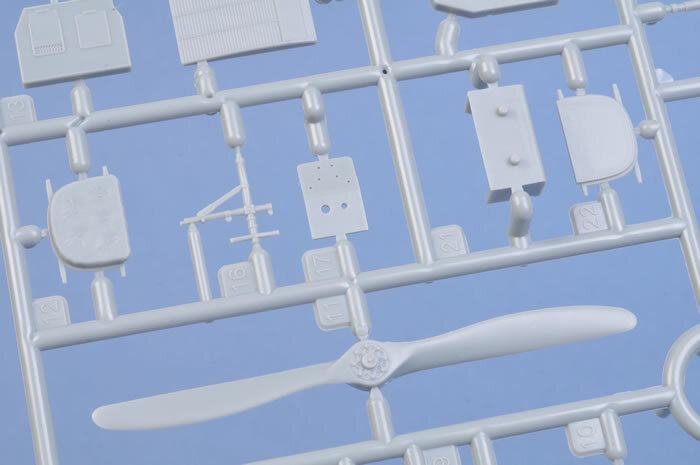 The upper and lower wings are each moulded in a single piece. 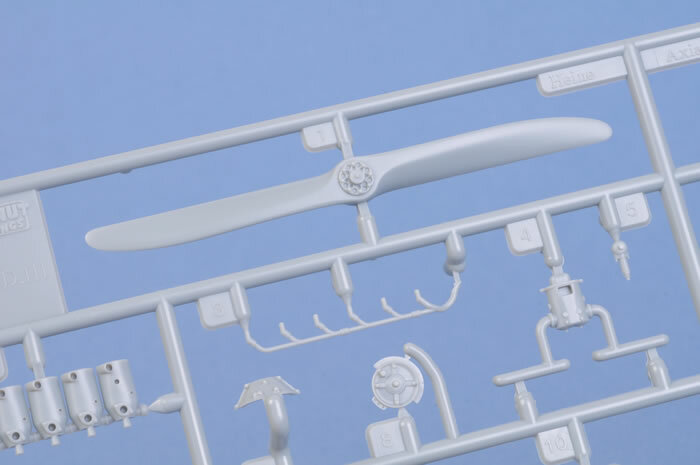 The upper wing features separate ailerons. 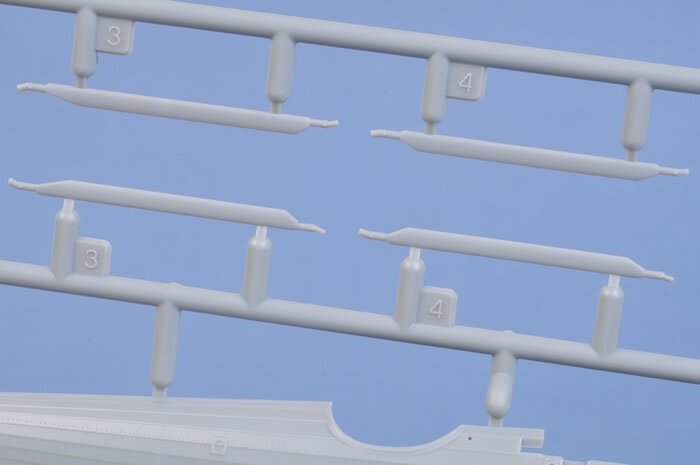 The elevators and rudder are separate parts too. 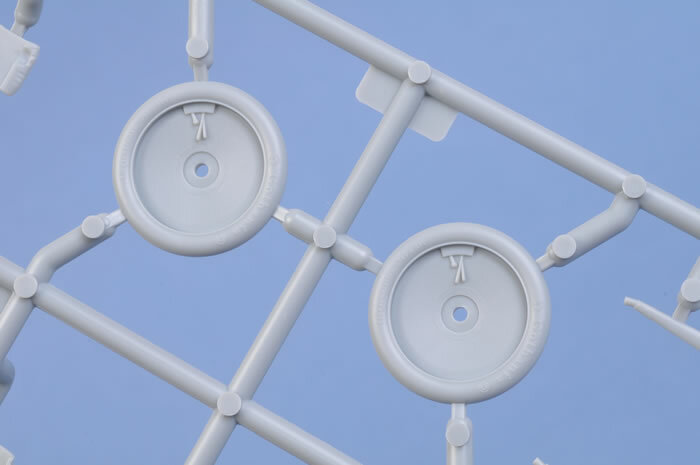 The struts are all fitted with good-sized locating tabs that fit into corresponding holes in the wings. Locating positions are marked for rigging, which should be drilled out with a 0.5mm drill to a depth of at least 1mm. 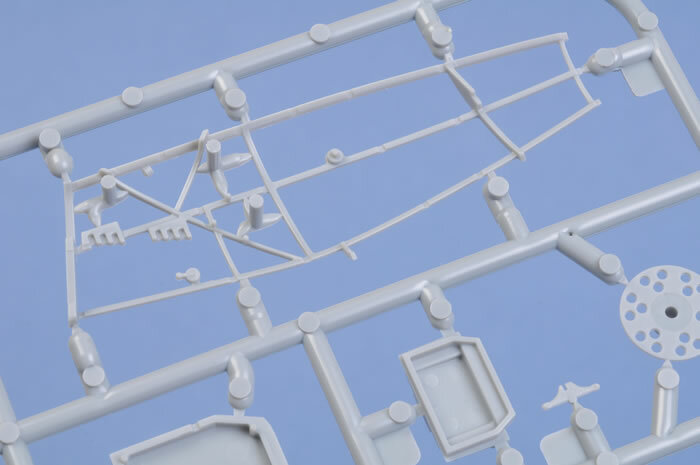 The lovely mouldings of the fuselage interior will supplement the thoroughly detailed bottomless cockpit, complete with framework, bulkheads, ammunition bins and fuel tank. The instrument panel is adorned with individual authentic decal instruments. 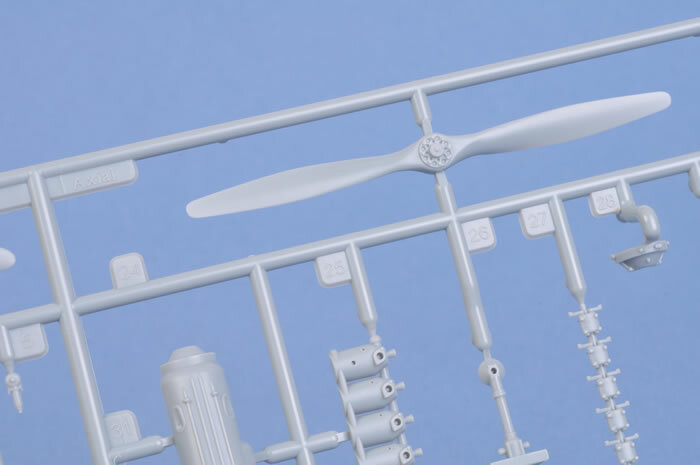 The Mercedes D.III engine is common to several earlier Wingnut Wings releases, and it is a real masterpiece - a model in its own right. 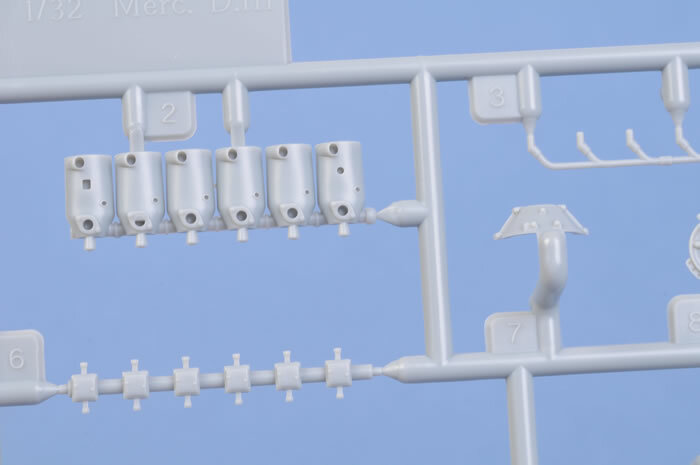 The various fuselage stations are all present in the engine compartment too, along with the oil tank. There is no upper cowl on this aircraft, so all of that lovely engine, manifold and exhaust detail is exposed in all its glory. Five styles of propeller are included – Roland, Heine, Axial, Wolff and Neindorf - but only three options are applicable for this release. More goodies for the spares box! 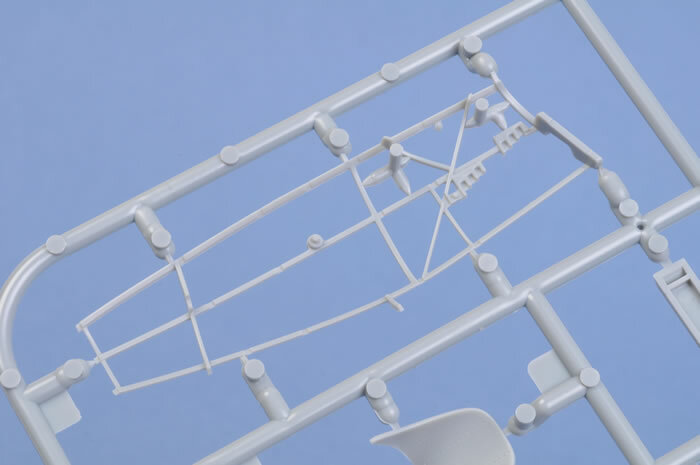 Other options include alternative seat cushions, different inspection / access hatch arrangements, early or late struts and two styles of windscreen. 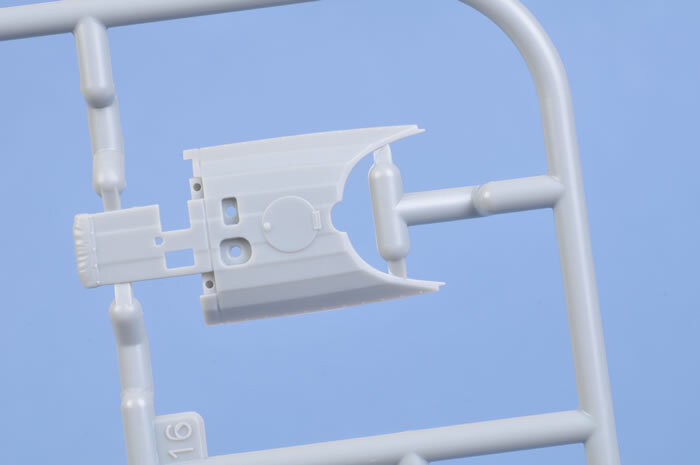 The two clear parts are thin and free from distortion. 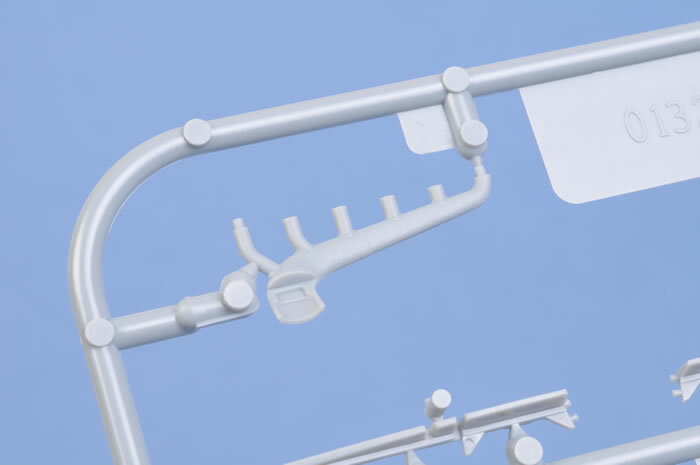 Where optional parts are provided, the instructions direct the applicable marking options. Painting options for interior and exterior elements are quite comprehensive too. The Spandau machine guns are provided with the option of photo-etched cooling jackets. 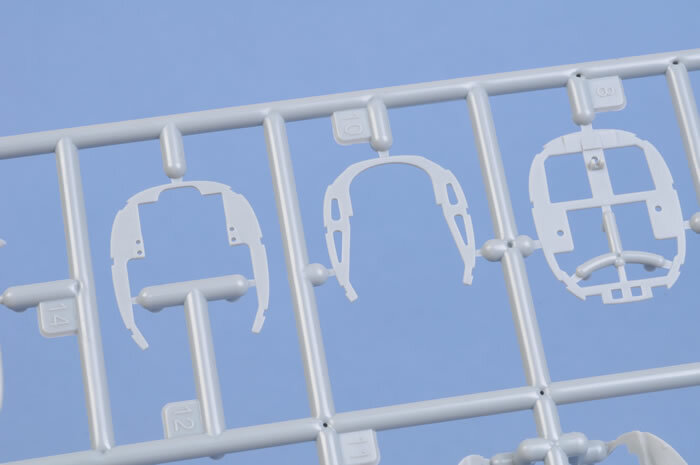 The photo-etched fret also offers harness straps and gun sights. 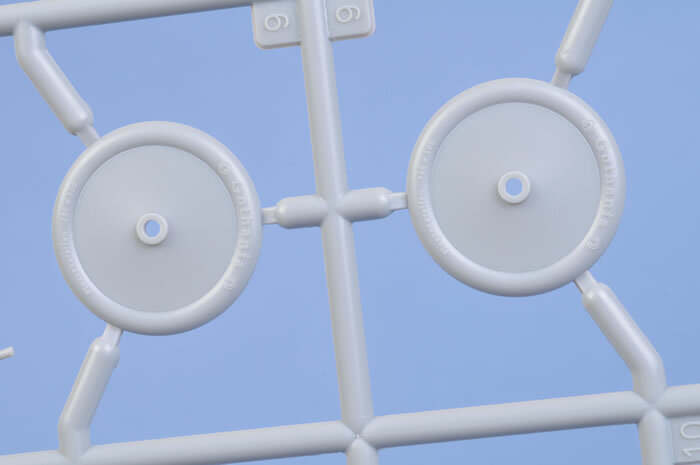 The wheels feature raised lettering and detail on this inside of the hub. 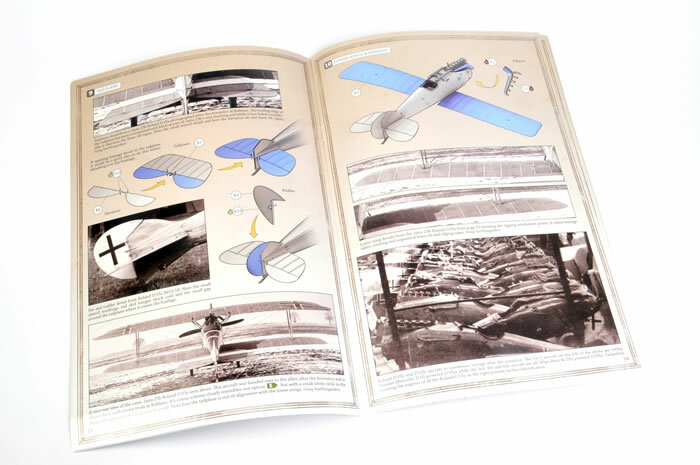 The 32 page instruction booklet is presented in the same format as its predecessors, with 3D construction views supplemented by generous reference photos of wartime machines and colour detail shots of a Museum example from Poland. Five marking options are provided. 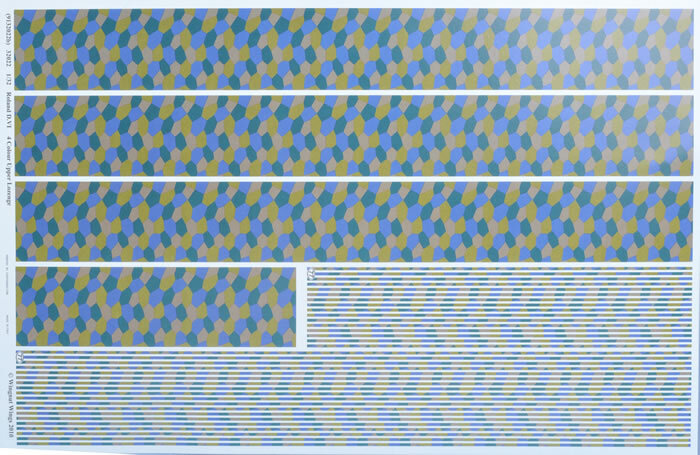 The two large decal sheets are printed by Cartograf. They are brightly coloured with perfect register and thin surrounds. Stencil markings along with the aforementioned instruments accompany the unique aircraft decals. Two of the fuselages finished are in varnished wood. 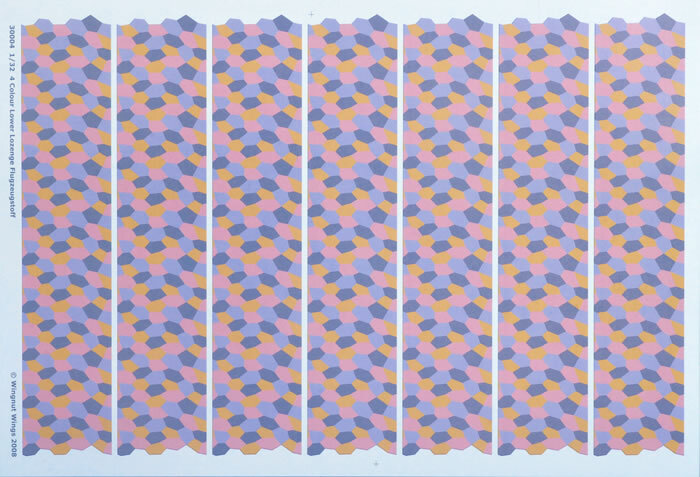 Two big sheets of upper and lower surface lozenge decals are supplied. These include pre-cut strips of rib tape, making the job of decalling a bit faster and easier. Apart from the high quality of their contents, I am most impressed by Wingnut Wings' consistency. 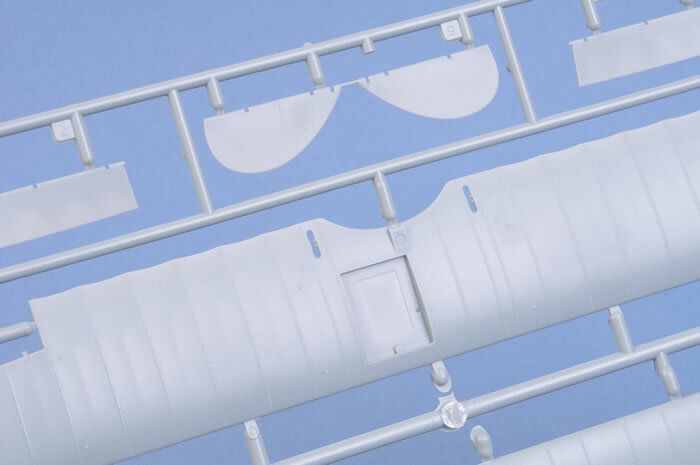 The first batch of Wingnut Wings kits set new standards when they first burst onto the scene in 2009, and all subsequent releases have attained that same rigorous benchmark. There is nothing revolutionary about these kits. 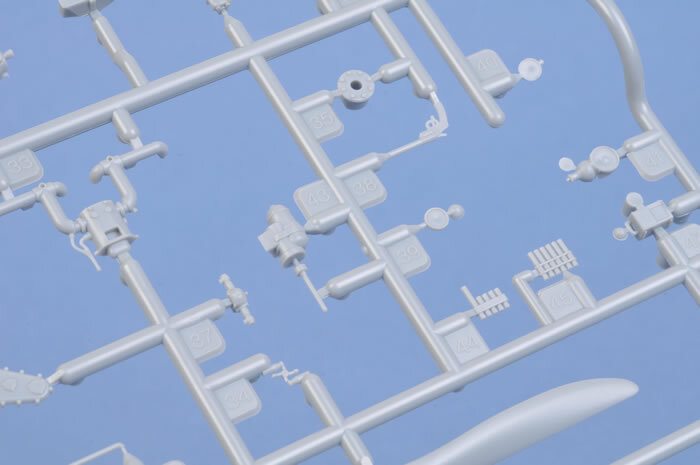 They are produced using the same injection moulding technology as many other 21st century models, and multimedia content is modest. What sets Wingnut Wings apart is an obvious passion for the subject, and a determination to get it right. Evidence of this zeal may be found all throughout the package, from the beautifully illustrated instructions, the inclusion of ample reference, the selection of the colour scheme and the luxuriously large decal sheets, all topped off by the beautiful silver lined art on the satin-textured box. 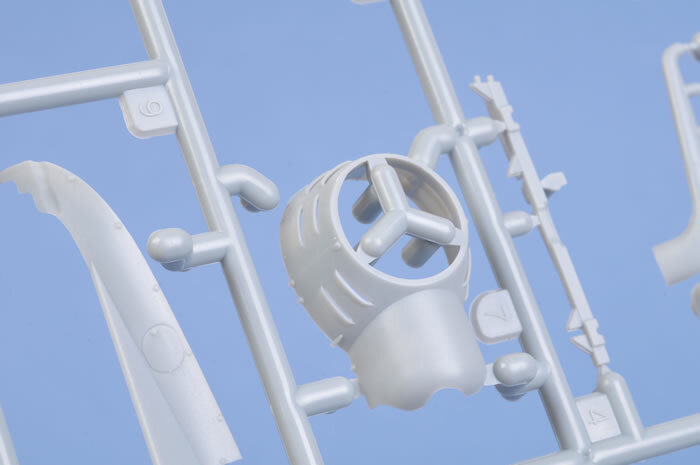 Wingnut Wings also extracts the best possible results from their plastic moulding contractors, presumably thanks to nothing more complicated than exemplary research, brilliant digital modelling and eagle-eyed supervision of the mould cutting, toolmaking and production process. 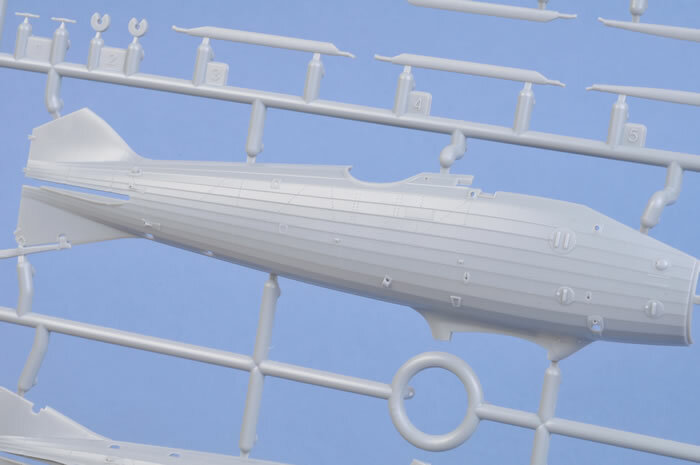 The result is a series of kits that has inspired many modellers who might not have previously considered building either a WWI subject or a 1/32 scale model to try something different. 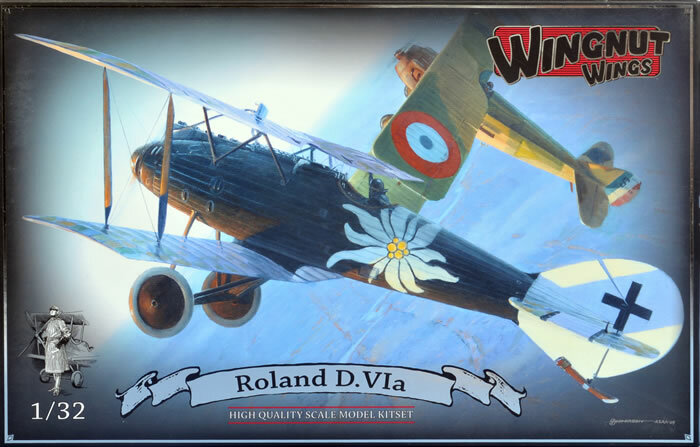 With its full-span upper and lower wing parts, its comparitively simple strut arrangement and manageable parts count, Wingnut Wings' 1/32 scale Roland D.VIa might be a good place for one of these large scale WWI novices to start . I have found too many excuses not to build one of these beautiful kits over the last two years. 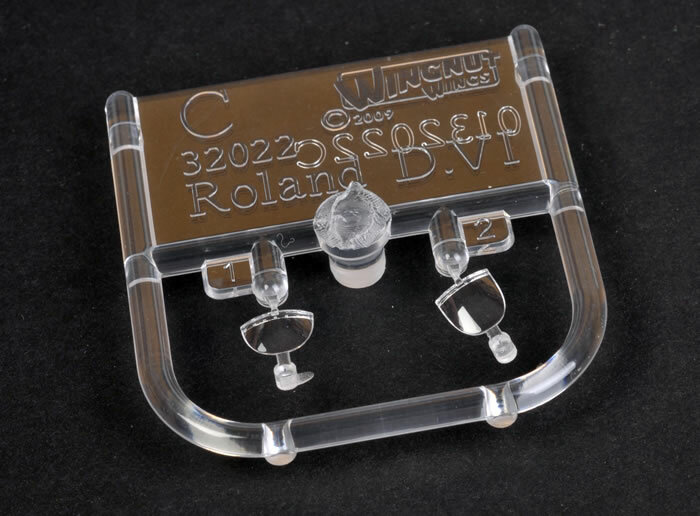 I hereby pledge that 2011 will be different, and I suspect that my first Wingnut Wings project will be this Roland. Despite savage movements in global currencies over the last 18 months, the price of this kit is only USD$6.00 more than its predecessors, and that price still includes free international shipping. In fact, by the time I convert this new price to my local Australian dollar, I think it is actually cheaper than the Albatros and Sopwith Pup kits were upon release. 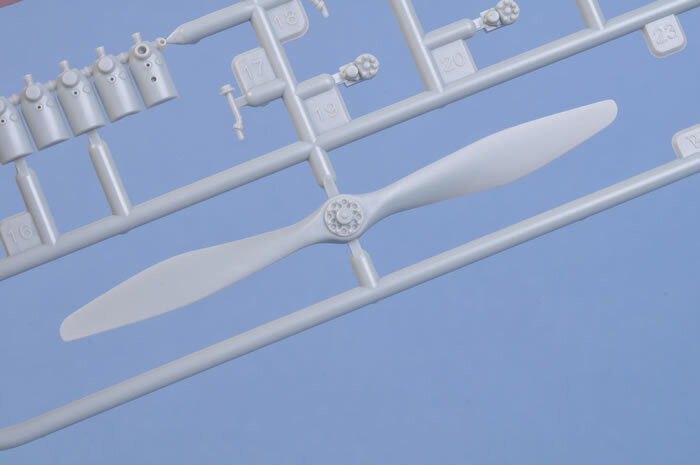 Whatever currency you are stuck with, however, there is little doubt that these Wingnut Wings models represent excellent value for money.